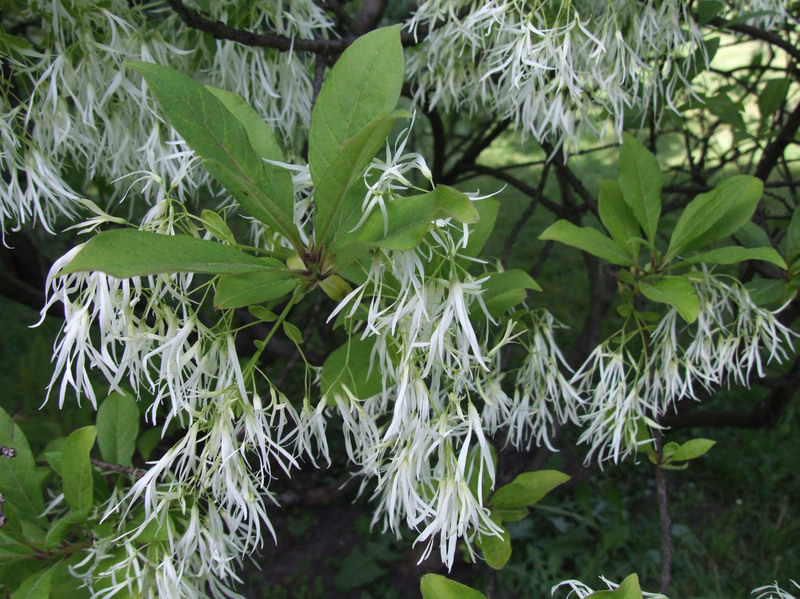 Chionanthus virginicus is a shrub or small tree to 10 m, bark gray-brown, often peeling, new stems green, old bark ridged, furrowed. Leaves opposite or subopposite, stalk to 2.5 cm long, blade narrowly elliptic, to 20 cm long, 12 cm wide, tip pointed to blunt, base tapered to stalk, dark green, smooth above, paler below, hairy on veins. 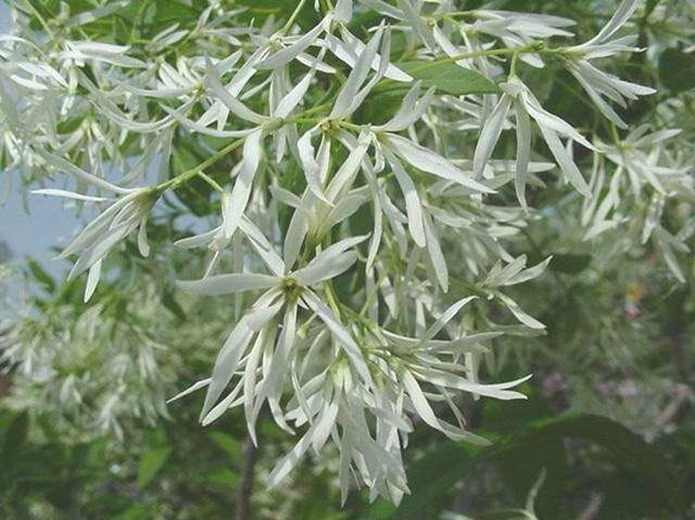 Flowers functionally dioecious, only flowers with larger pistils are fertile; white, slightly fragrant, showy to 3 cm long, petals 4, 1.5-3 cm long, 0.3 cm wide, fused and briefly tubular at base, sepals 4 0.1-0.2 cm long, stamens 2, arising from petal tube, pistil solitary, style 0.1 cm long, stigma 2-lobed; inflorescence of branched, drooping clusters to 20 cm long; blooms May-June. Chionanthus virginicus fruit en.wikipedia.org (Accessed 1/2018). 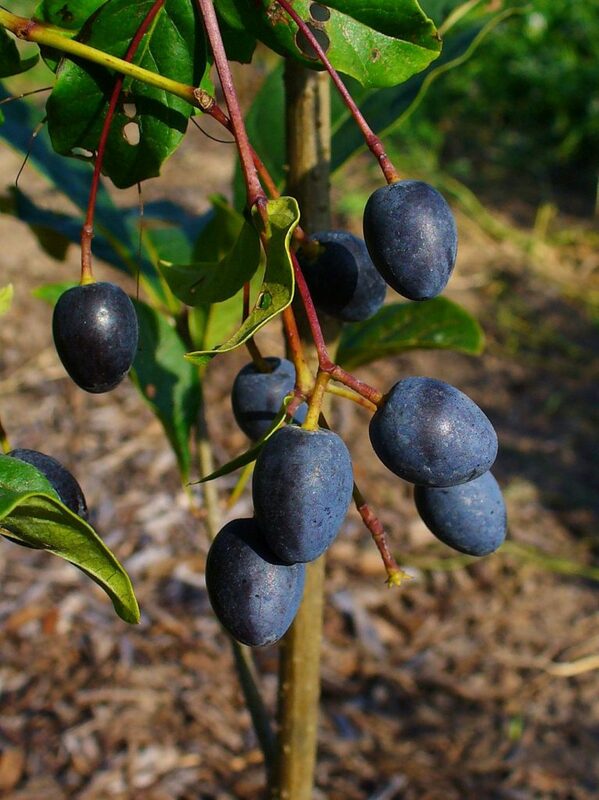 Fruit thin-fleshy, dark blue 1-1.5 cm long, 0.6-1 cm wide, 1-seeded; matures Aug.-Sept. (Radford et al. 1968). Fruit eaten by birds (Dirr 1990). Origin: Native from southern NJ south. Habitat: Mostly horticultural, may be overgrown in successional natural areas. Not usually escaping this far north. Soil pH 4.5-6.5. Tolerant of shade, intolerant of salt (USDA, NRCS 2007).